Some of the best Texas style chili mix that we’ve had lately is actually made in Maryland! T-Rev’s Stiff Willi Chili Texas Chili Mix scores big points with us in flavor and its simple, easy to make 15 minute recipe. Each 2 ounce package will season 2 pounds of meat with an authentic Texas style chili flavor and a big hit of Texas heat and spice. 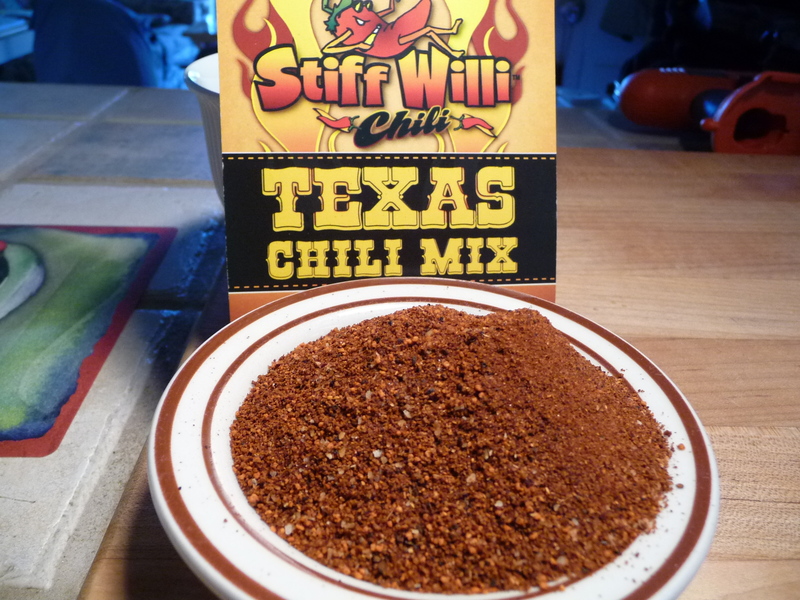 Stiff Willi Texas Chili Mix has a beautiful color and very nice texture. Tasting just the mix alone at first confused us. While it did taste like chili, there was very little heat to it. Well, that would soon change, as you will see (it gets hotter). Brian even said, “this is not going to be hot enough for me”. But we proceeded to cook T-Rev’s recipe without adding more heat – only a few changes and additions. Big bright color and great texture. After browning 1.5 pounds of 80/20 ground beef (we used 1/2 pound less meat, as we wanted a big hit of seasoning and reasoned that the beans would replace the rest of the meat for bulk), we added a small can of diced mild green chiles (we like the bright fresh flavor they add) and some kidney beans – 1 can dark kidney and 1 can light kidney (yea, we roll with beans in our chili), along with a whole sweet onion diced. And instead of tomato sauce, I pureed a can of whole tomatoes, as that is what we had on hand. Adding the Stiff Willi Texas Chili Mix immediately gave this chili a deep mahogany red color, and thickened up the pot perfectly. Instead of using the 15 minute method, which would have worked great without the addition of the beans, we let it simmer for about an hour, so the beans could absorb some of the flavors and everything could get all happy. Here’s what it looks like unadorned. You could simply follow the 15 minute recipe and still have some awesome chili, but the longer you let it simmer, the better it gets. Still, the “15 minute recipe” is a great marketing item. The end result was a dark chili with perfect consistency. 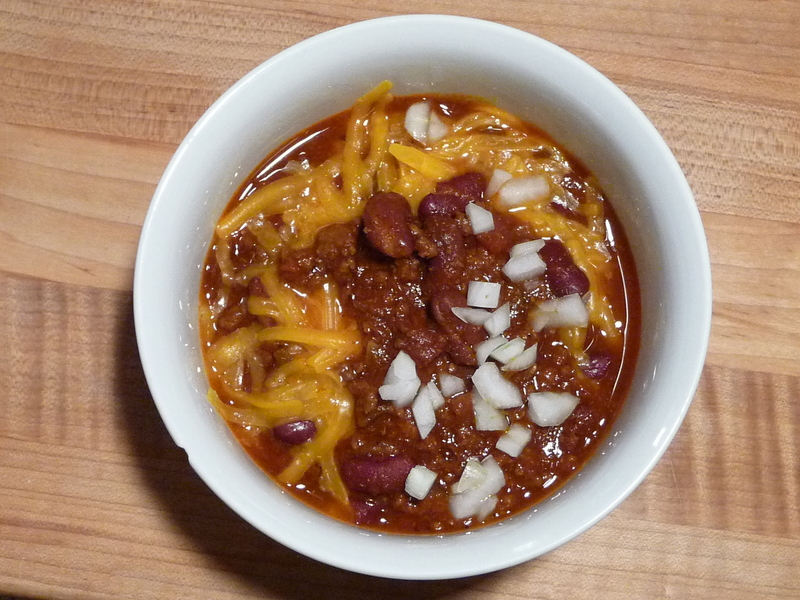 We like to top our bowl of chili with shredded cheddar cheese and a little bit of diced onion for “bite”. Our first taste of the finished product had an abundance of chili powder flavor with just a background of cumin, then the heat started coming on. Man, was this a surprise! There was no need to add any additional heat to this bowl of red. It started to build after the first two bites, and leveled off after 5 or 6 spoonfulls. Delicious, perfect for those cold days when you can’t seem to get warm enough. This will do it for you. Heat Level: – right down the middle with heat and spice. A great balance of heat to flavor. Superb! Overall rating: – our highest rating for great flavor and heat and taste satisfaction without a lot of fuss. We love the consistency, love the flavor and love the heat level (with a cold beer on the side). You can purchase T-Rev’s Stiff Willi Texas Chili Mix directly from their website. Get yourself the 3 pack and save some money. Or get the whole 12 pack for extra value and convenience! Tell Trevor that HotSauceDaily sent you. About T-Rev’s Stiff Willi: Started in 2009 by Trevor Bothwell, T-Rev’s first competed in and won the DC 101 Chili Cookoff, beating out the previous winner “Hard Times Cafe” for the championship. T-Rev’s also won People’s Choice at the 2009 ICS World’s Championship Chili Cookoff. You can Like them on Facebook or follow them on Twitter.com/stiffwillichili too. 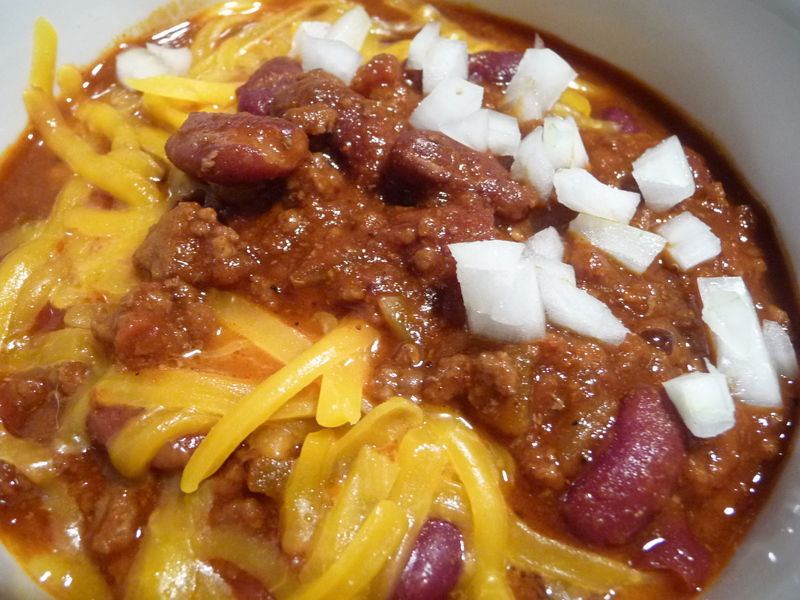 I’d like to add my 2 cents here – this chili seasoning mix was amazingly good. Better than any box mix from the grocery store. And the heat is just right. Marilyn and Brian, thanks for the great review! I’m very proud of both of our award-winning chili spice mixes, but the fact that the Texas Chili Mix whips out the planet’s finest chili in only 15 MINUTES is almost too good to be true. But it’s not. Delicious and convenient … What could be better? It is getting to be chili season, I’ll have to see about ordering some. 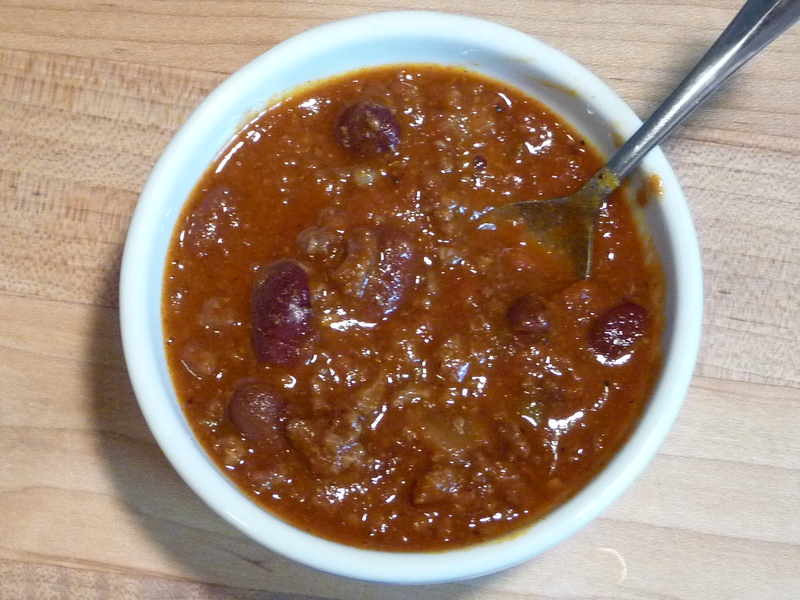 You will NOT be disappointed with this chili mix.